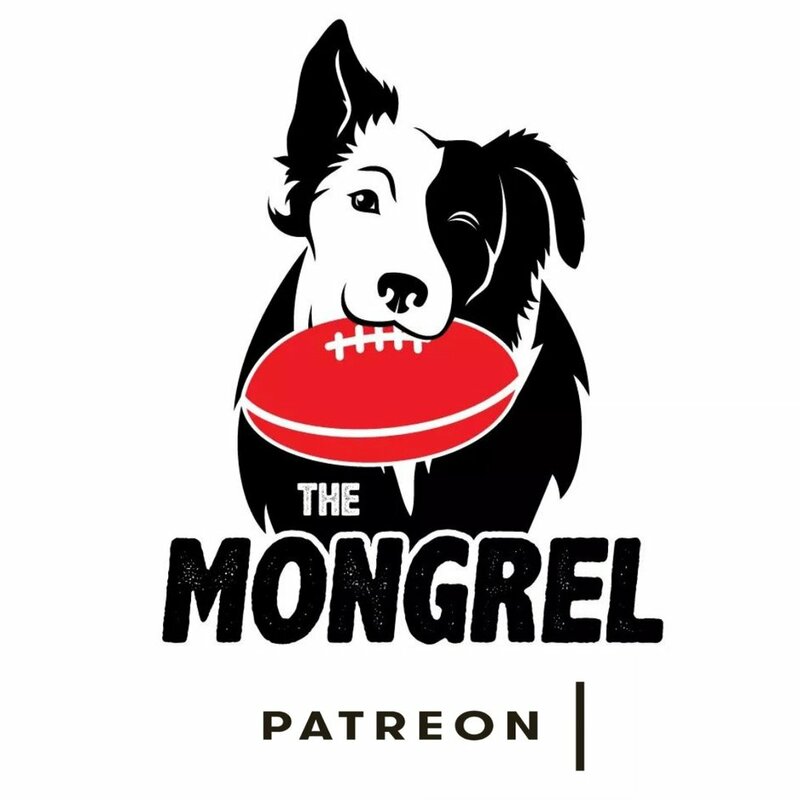 Heroes and Zeroes - GWS v Richmond — The Mongrel Punt Become a Patron! A slicker midfield performance and better defensive pressure proved vital in GWS’ triumph over an out-of-sorts Richmond outfit on Saturday Afternoon. In their second home game of the year, the Giants capitalised on a Tigers team missing star full back Alex Rance and key forward Jack Riewoldt to win by 49 points. However, the final scoreboard didn’t accurately reflect a battle of attrition which could have gone either way up until three quarter time. The Mongrel looks at the heroes and zeroes from a clash which didn’t thrill but certainly interested a neutral footy fan. WOW, what a performance from the Giants primary tagger. Given the difficult task of keeping superstar Dustin Martin in check, de Boer rose to the occasion and delivered a master class in two way running and defensive midfield pressure. The former Docker reduced Martin to just 15 disposals, wearing the 2017 Brownlow and Norm Smith medalist like a glove. When Martin took a spell on the bench or went up forward, de Boer fixed his attention on Tigers captain Trent Cotchin. The Giants will be hoping de Boer can continue to produce consistent performances in his tagging role, as it will be crucial to their hopes of being a contender this season. Jeremy Cameron and Jeremy Finlayson formed a lethal forward duo as they piled on 12 goals between them, crippling an already weakened Richmond defensive unit. While we all know Cameron is one of the best key forwards in the game, Finlayson is untested as a forward and delivered in his new role, providing a clean marking option to ease the pressure of expectation on his fellow namesake. It will be interesting to see whether Finlayson can lock in a spot as a forward in the absence of Jonathon Patton. The Tigers took a punt when they recruited Perth local Sydney Stack, after he was overlooked in last year’s draft for disciplinary reasons. It’s fair to say their bet seems to have paid dividends, with Stack showing immense skill in his debut. Playing predominately off half-back, Stack finished with 17 disposals and 8 marks, standing up and holding his own in one-on-one contests. With Jayden Short going down early, the Tigers defence was depleted all day and Stack stood up to keep his side in the contest. The young man should walk away with his head held high despite his team not snapping up the four points. Are the Giants in possession of a future Brownlow medalist? Lachie Whitfield continued his rich vein of form to start the year, racking up 42 disposals and 12 marks, sending the ball forward at will to help his team knock the Tigers over on the transition. We all knew the former number 1 draft pick had serious talent, but the Giant is exceeding expectations in the way he is dominating contests and shaping games. If the Giants are winning, expect Witfield to poll well in the race for Charlie. In a game which hinged on midfield control, Kane Lambert worked overtime to try and give his team first use of the football. Finishing with 34 touches, 11 marks and a goal, Lambert stood up when his fellow on-ballers didn’t. While Dion Prestia had plenty of the footy too, Lambert was more effective and dangerous in the way he used the pill. Another Richmond player who can leave Giants Stadium knowing they gave it their all. It was a dirty day for Dustin Martin, the midfield bull was clamped down from the first siren to the last and had very little influence on the day. But it wasn’t Martin’s physical output which was of most concern. At times, the number four didn’t seem interested in the contests, exercising very poor body language and little regard for self-control. He’ll face scrutiny from the match review officer for an off-the-ball hit during the second quarter, and was caught pulling the bird at either a Giants fan or player in the third term. Dusty seems disheveled at the moment and opposition teams will be looking to exploit his lackluster start to the 2019 season. Dare I say it, but would there be value in Martin having a spell in the VFL? Perhaps it would help the Tigers champion to regain some very valuable confidence in his footballing ability. Food for thought, Tiger army. The young Giants defender looked out of sorts when he matched up on Tom Lynch, losing one-on-one contests on several occasions. It’s clear to see the young Giant is still learning the ropes of body positioning and defensive running, and matching up against the AFL’s best power forwards will only help him learn. It was a poor day for Taylor, but the Perth boy certainly shows a lot of promise, particularly with his dashing style off the backline. The Tigers would have been licking their lips at the thought of Noah Balta taking his elite JLT form to senior level. Unfortunately, Balta has struggled to adapt to the increase in standards at the highest level. Finishing with a meager five possessions and two tackles, Balta was quiet and offered no respite to a midfield group which was lacking pace and power. Don’t be surprised if Balta is heading back to the twos next week. A harsh but fair zero for Tiger Tom Lynch. While the prized recruit finished with four goals, he didn’t impact the game and was sloppy in critical moments. Four goals from eight kicks is efficient, but is it effective? I’d like to see Tom Lynch crashing the pack more and giving the Tigers crumbing forwards in Daniel Rioli, Jack Higgins and Jason Castagna a chance to hit the scoreboard from the ground. Lynch is a beast of a forward but needs to use his physique to tear opposition defensive units apart and allow his fellow forwards to reap the benefits. Are the Tigers still a chance in 2019? Yes, it is only round three, but who doesn’t love asking a big question? Richmond may be without a handful of their best players, but the roar is far from out of the Tigers. If the yellow and black army can continue to compete against the best teams, and take care of easier opposition, expect to see them there or thereabouts come September. Can they win the flag? Now that’s a question which can’t be answered just yet!